Texas Seal Supply Co., Inc. is a franchised distributor for Parker Seal Co., a division of Parker Hannifin Corporation. It is 100% minority-owned and has served the military, commercial, aerospace and the oil field industry nationwide since 1971. 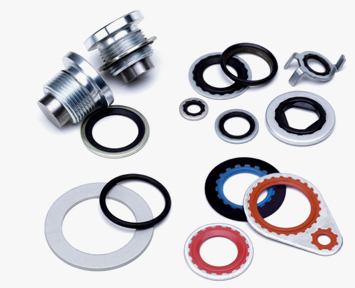 We locally maintain a 14,000 square foot warehouse and office containing inventory of military and industrial seals (O-rings, back-ups, hydraulic seals, thred-seals, stat-o-seals and all types of packing seals for hydraulic and pneumatics). Texas Seal maintains high quality assurance procedures. These include visual inspections of all incoming and outgoing parts as well as documentation as to source, date of purchase, cure date, etc., for traceability purposes. If you have any questions, please call or write for information concerning all seals and sealing applications. Our professional staff of salesmen are readily available to help.